The intricate and soft fabric of your office carpet holds countless harmful bacteria, dust particles, allergens, mould, mildew and other contaminants. These pollutants not only make the carpet grimy and smelly, but also reduce its life. Besides, it negatively impacts employee productivity and brand reputation. 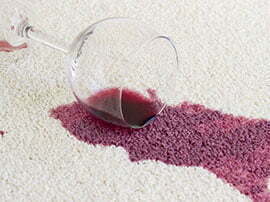 That’s the reason why you need a commercial carpet cleaner. 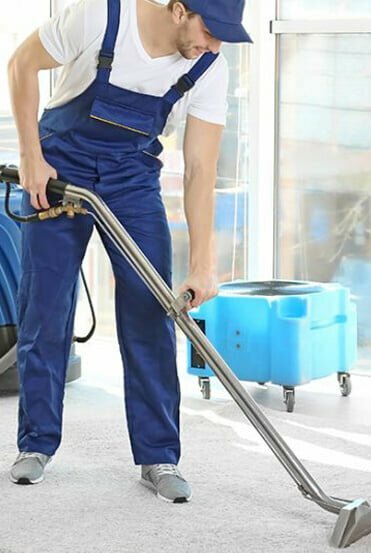 Tradie Team is a premier carpet cleaning company based in Melbourne, offering specialised cleaning services for commercial carpets. Commercial Carpet Cleaning for an Impeccable Brand Reputation. Even if you get your office carpet vacuumed on a regular basis, the tough stains and spots largely remain unaffected. Therefore, it is essential to leave cleaning office carpets to the professional cleaners. With our solid experience and reliable team, we perform deep carpet cleaning to remove the harmful pollutants for a pristine, fresh and germ-free carpet. 1. 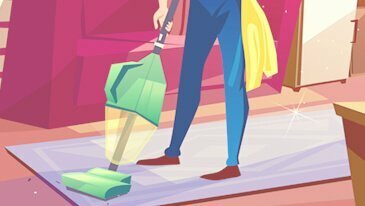 Pre-vacuum: Our specialist cleaners use high-power vacuum cleaners to extract the loosely attached pollutants and external particles from your carpet. 2. Spraying: After the carpet is thoroughly vacuumed, we spray the carpet with various bio-friendly and non-toxic cleaning material to remove the dirt and dust particles buried within its strands. 3. 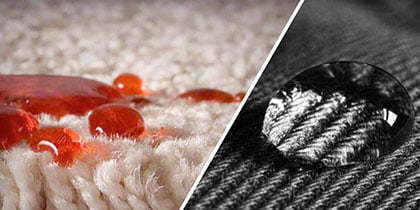 Stain removal: Our team take active measures to get rid of the stubborn stains. With the advanced cleaning material, our cleaners make even the toughest stain is eradicated. 4. Scrubbing/ Deep Cleaning: Once the stains are removed, we apply deep cleaning action, where an 1100 watt high power motorised rotary brush machine is used. This machine shakes off the heavy soiling and hard stains from the carpet. 5. 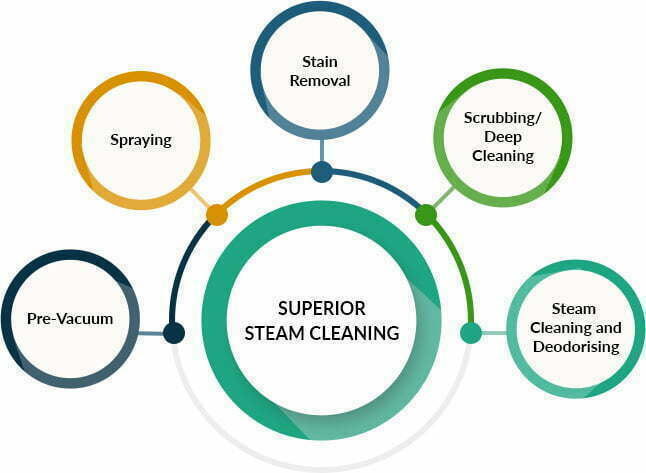 Steam Cleaning and Deodorising: The last step in the commercial carpet cleaning process involves a powerful steam machine to extract any isolated pollutant. This process is followed by deodorising the carpet for odour removal. 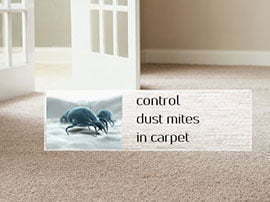 Dust mites are one of the primary reasons for severe allergies. This creature buries themselves deep in the intricate fabric structure, eventually making the carpet unhealthy, posing severe health risks. At Tradie Team, we remove these allergens and ensure a healthy and hygienic carpet. We provide extensive and intensive cleaning services to eradicate and prevent the unpleasant odour from the carpets. 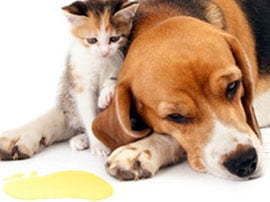 We use non-toxic chemicals to make your carpet fresh and hygienic. We have got what it takes to remove those hard stains. With smart and skilful use of non-toxic cleaning materials, our team members make sure the stains are gone forever! We offer effective treatment against spills and stains to ensure your carpet remains clean, fresh and stain-free for a long time. These tiny creatures are invisible to naked eyes. Exterminating these pests requires professional expertise. 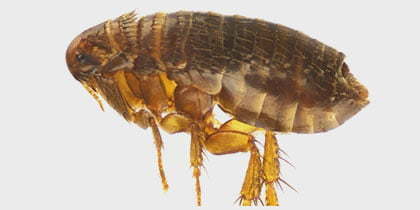 Our team of experts use natural solutions to remove the flea infestation. Want to get your carpet cleaned in no time? 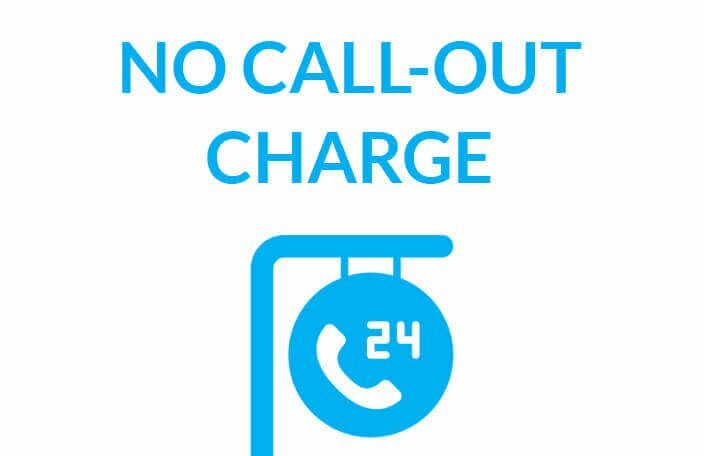 With our dry cleaning methods, we make your carpet as good as new within two hours. No matter how many carpets are there in your office premise, we’ll clean them all using our efficient cleaning procedure. A dirty carpet holds many organic and inorganic pollutants consequently making the surroundings unhealthy. Our cleaners effectively eradicate these harmful particles. Most carpets are expensive and therefore, the stakes are always high. 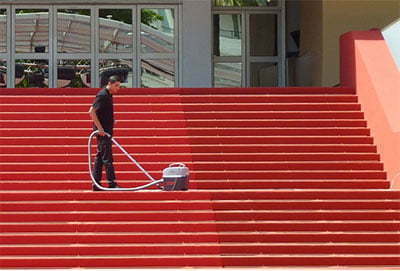 Our cleaners can adeptly handle the luxurious and delicate carpets. Our cleaning methods are tough on stains and soft on the fabric. We ensure your carpet does not lose its shine and softness. Each carpet is different. 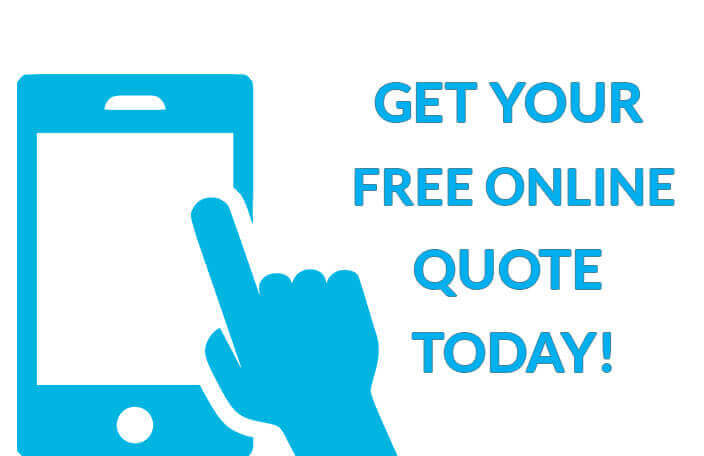 Therefore, we offer tailored solutions to cater to your unique requirements at a price that won’t cost you an arm and a leg! 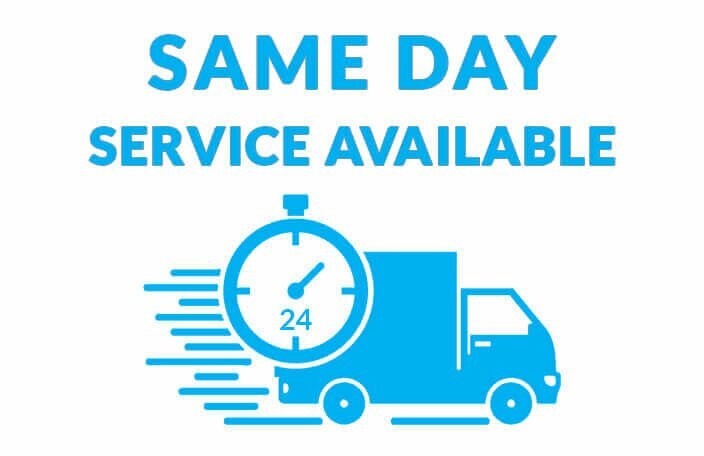 In case of a carpet emergency, we provide same-day services and deliver efficient results within no time! We use 100% Australian and non-toxic cleaning material that won’t cause an adverse effect on your kids or pets.